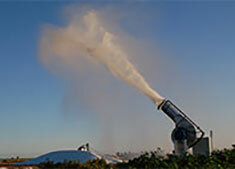 Dust or waste water ? We have the solution. 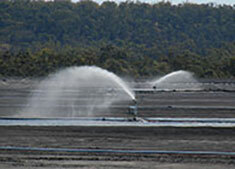 Wet Earth has over 10 years experience selling solutions to mining companies. Our focus has and always will be finding the best solution to customers requirements. We consider ourselves unique in that we are brand independent so we can select the best products and offer a range of solutions to our customers. We can provide a full service solution to customers from electrical, hydraulic and mechanical design and manufacture through to installation supervision and commissioning. All our products can be manufactured or customised to suit our clients specific requirements. 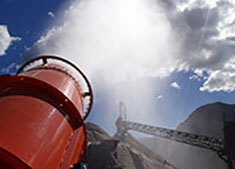 Our key areas of expertise and experience are controlling mine dust, evaporating waste water and general mine water and spray systems.